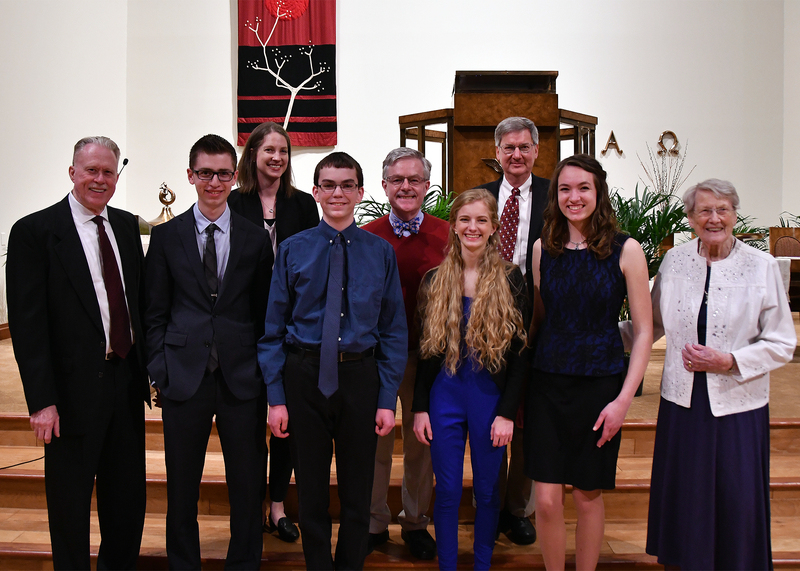 The Annamae Rotman Young Organist Competition was founded in 2013 by Dr. Richard Rotman in honor of his mother and is an annual competition. We thank him for his generous support of young organists. • Application Date – Postmarked by February 8, 2019. A maximum of four applications will be accepted based on date of receipt. If only one application is received, the competition will be cancelled. • Previous first place winners of this competition are eligible to compete in this competition again in two years. Baroque style – J. S. Bach (can include the Eight Preludes and Fugues – Bach/Krebs), Trio Sonatas, and/or Chorale Preludes. One work or any combination of two works by J. S. Bach for a minimum of 7 minutes. A contrasting work(s) of the competitor’s choice – Examples are Brahms, Duprè, Widor, Franck, Hindemith, or others from the 19th, 20th, or 21st century eras for a minimum of 7 minutes. Hymn- To be chosen from one of the hymn selections at the end of the application. Other verses as written, improvised, or published free accompaniment but able to lead singing. The judges will consider the text of each verse as it relates to the musical interpretation and registration of the hymn by the competitor. The audience will be invited to sing on each stanza. Three unmarked copies of each repertoire number will be required for the judges. In order to facilitate the judges, the competitors are required to number every ten measures of their compositions. Judges – Three judges will be paid for their services plus a travel allowance. The judges may be local but may not be nor have been a teacher of any of the competitors. Practice Details – Each competitor will work out practice times with the chapter coordinator, Bruce Klanderman, and will be assigned memory levels. Each competitor should receive equal practice time, should not use the competition instrument regularly, and should practice alone with a chapter monitor. A minimum of three hours practice time will be allowed. Page turners will be provided. For competition details not covered in these rules, consult the AGO/Quimby competition rules. 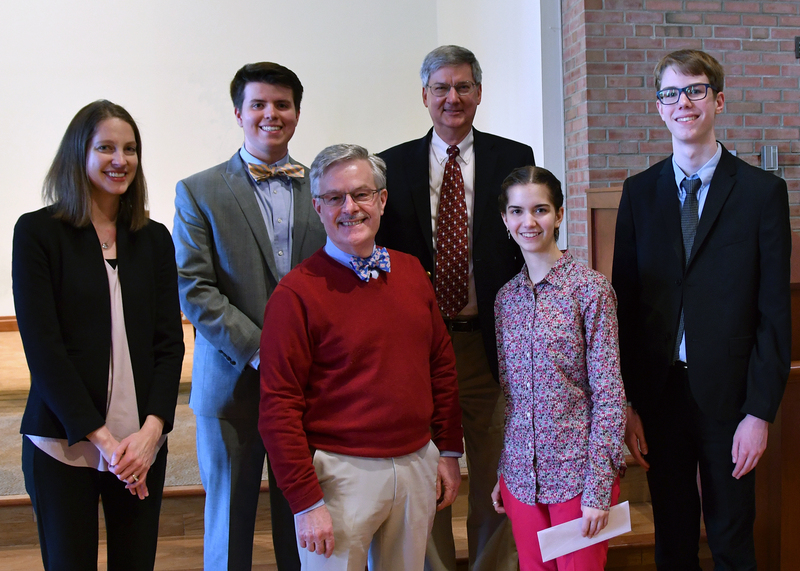 Note: AGO/Quimby vs Rotman competitions in odd-numbered years – Young organists are encouraged to enter either the AGO/Quimby competition for more advanced young organists or the Rotman competition for less advanced organists. If both competitions are entered, the repertoire including the hymn must be entirely different for each competition. This competition, held in odd-numbered years, is sponsored and administered by the nine regions of the American Guild of Organists. Competitors must be under 24 years of age as of August 1 of the year of the competition. Membership in the AGO is not required. The first round of the competition begins at the chapter level. Competitors may compete in any chapter competition held within the AGO region of their home or school. Only one chapter competition may be entered. A registration fee is required for the participation in a chapter-level competition. The final round is held concurrent with the Regional Conventions. Required repertoire is published with the official rules in THE AMERICAN ORGANIST. Application form must be postmarked no later than February 8, 2019, and mailed to Bruce Klanderman, 2105 Raybrook St. SE, #4024, Grand Rapids, MI 49546. Please retain a copy of the application and a copy of your payment. All application materials become the property of the Grand Rapids Chapter of the AGO (GRAGO). I understand that I am required to bring three unmarked copies of each repertoire number to the first practice session for use by the judges. Photocopies are allowed but will be destroyed immediately after the competition. I hereby certify that I have read, understand, and agree to comply with the rules for this competition.